Through the previous articles, we wrote about certain advantages of Free WordPress Blog against Blogger Blog, article on choosing own server for self host WordPress Blog, about Virtual Dedicated Server and Dedicated Server. So, our way of thought, this article on Self Hosted Blog versus WordPress Hosted Blog will complete the circle. Self Hosted WordPress Blog or WordPress Hosted Blog? Almost all Blogger actually starts with free blogs. After a certain time, it becomes quite clear to the user; Free Blogs certainly has some major limitations and shifts to Self Hosted WordPress Blog. First, is to pay certain fee to WordPress and get extra features; that is the Paid Upgrades. There are different schemes tailored to users need are available paid upgrades via WordPress. Second is to renting a web server, that can be a shared server (cheapest), Virtual Dedicated Server (cost-benefit ratio is favorable) and Dedicated Server (costliest). Buying and maintaining your own Web Server is a difficult option, the physical server is yours and it requires a team or at least 2 persons (one person can not monitor 24 x 7) to look after it. 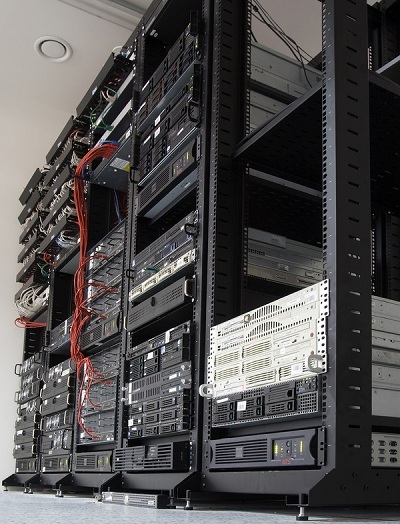 There is another option that is colocation, in which the server is yours and the host just provides the connection. We will NOT talk about colocation or buying your own server here. In other words, we will use Self Hosted WordPress Blog synonymous to renting a web server; that is what most of the people do. The main advantage of WordPress Hosted Blog with Paid Upgrade is the easy setup. It is almost as easy as like buying a movie ticket. Additionally, you will get more powerful server from WordPress, if you compare “what the amount I am spending”. Disadvantages of WordPress Hosted Blog with Paid Upgrade are numerous. The server is not yours. You can not use the FTP. For getting each extra feature you might have to pay etc. As this is probably the most commonly done method, we will go to a bit detail. You can register your own Top Level Domain. This has of course a professional feel, as well as the subdomains. You can customize the blog as much as you want. Web Hosting costs are no longer really too much. You do not need to care about “policy violation”. Of course, such a Self Hosted WordPress Blog requires more work. But that is easy with the current versions of WordPress. More freedom with Self Hosted WordPress Blog means more responsibility and more work. Worst can be the web hosting service. For Self Hosted WordPress Blog, the major problem can be the web hosting company. It really feels bad to move from one server to another, at some point, you’ll feel like a homeless person. But, actually the degree of freedom for Self Hosted WordPress Blog wins. This Article Has Been Shared 3175 Times! CDN options are quite challenging now to decide which has better performance. This article compares Rackspace Cloud Files with Amazon Cloud Front. Worst Web Hosting Companies – the title alone is enough to make any Web Hosting Company’s CEO to check the list if they are in or not. No one wants to be within the list of Worst Web Hosting Companies! 301 Redirect by .htaccess is most commonly used method for LAMP setup. 301 Redirect can be done by other methods, but .htaccess gives the best header response. Cite this article as: Abhishek Ghosh, "Self Hosted WordPress Blog versus WordPress Hosted Blog," in The Customize Windows, July 25, 2011, April 21, 2019, https://thecustomizewindows.com/2011/07/self-hosted-wordpress-blog-versus-wordpress-hosted-blog/.